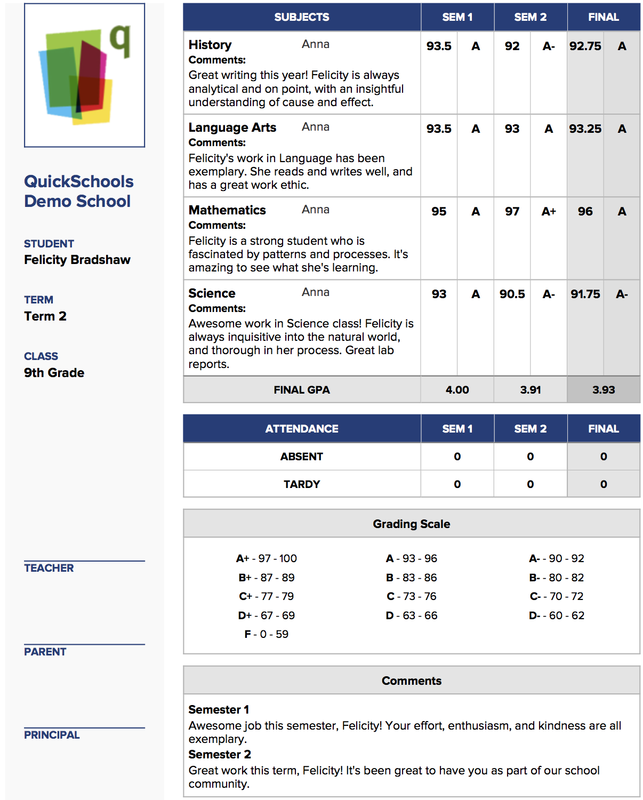 As part of our initiative to share the awesome custom report cards at QuickSchools, today we’re sharing a private template. If it looks good to you, feel free to chat in – we’d love to enable it and help you set it up just the way you’d like! If you think this new template might work for you, switch to it anytime by selecting it in the “Change Template” menu through Setup Report Cards. And of course, feel free to chat in if you’d like more information or have any questions or concerns about the dual-term Blue Academic template or setting it up. We’d love to help!